Regina is a great place to live, work and play. 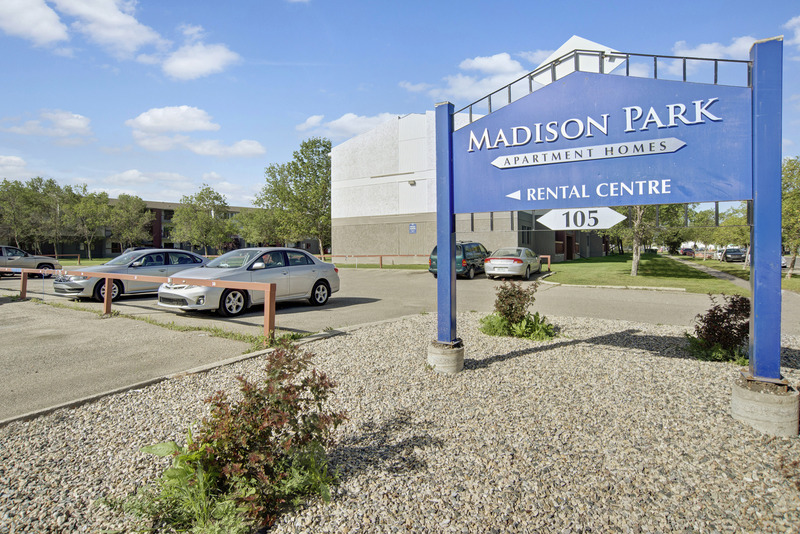 Living at our Madison Park Apartment Homes community places you near everything Regina has to offer, from amazing shopping and fun entertainment to award-winning restaurants and an easy commute. Regina, the capital city of Saskatchewan, offers an abundance of parks and greenspaces while also serving as a commercial and cultural centre with many fun things to do and they’re all just minutes away. Expand your brain at the Saskatchewan Science Centre. Try your luck at the Casino Regina in the old Union Station. Get some serious retail therapy at the Cornwall Centre, Northgate Mall and Victoria Square Shopping Centre. Regina has plenty to offer sports lovers. Hockey fans can grab a brew and cheer on our beloved Saskatchewan Roughriders as they go for the elusive hat trick at the Mosaic Stadium in Regina. On weekends, play 18 holes at five municipal golf courses. Want a little more action? Visit Kings Park Recreation facility to play baseball or rev it up with stock car racing. And just half an hour away you’ll find ski resorts and camping country. Enjoy the abundance of parks and greenspaces in Regina whether walking or biking on paths, taking advantage of several cross-country skiing venues or a host of other recreational facilities throughout the city. Go skating in the winter and boating in the summer on Wascana Lake or visit Victoria Park in the central business district for festivals and the bustling and colorful Regina Farmers Market. Regina is art and museum heaven with interesting places including the Royal Saskatchewan Museum of Natural History and the Norman MacKenzie Art Gallery. Music lovers can attend live concerts at the acoustically perfect Conexus Arts Centre including watching The Regina Symphony Orchestra. And, of course, Regina has everything a foodie could dream about. Sip delicious beverages at the Capital Restaurant and Cocktail Bar, enjoy Middle Eastern fare at ZamZam Wraps and try yummy food for a great price at the Marokena Crepe Cafe. Satisfy your inner carnivore at The Keg Steakhouse + Bar, or try Rock Creek Tap and Grill East for a hearty burger and beer. Transportation and commuting is easy too since we’re located right off SK 1 if you drive, and adjacent to a convenient Regina Transit stop with buses running 7 days a week. Be close to all the excitement that Regina has to offer while enjoying great amenities and a close community by living at Madison Park Apartment Homes. Why wait? Contact us today to schedule a tour and start and living life at its finest in a great apartment in Regina, SK.